Through the success of DASH’s three-tiered housing strategy, we understand that the needs of survivors are varied and we strive to meet them “where they are”. The first tier of our strategy is to create more safe housing for survivors. The second tier of our strategy is to prevent homelessness for victims escaping domestic violence. All of DASH’s housing programs employ a trauma-informed approach provided in a confidential setting. This means that we work with victims on an individualized basis – we don’t screen out potential residents, require participation in programs as a condition of their residency, or mandate goals for families living in our housing. This approach has proven to yield stronger outcomes than a traditional service model. Our programs are innovative in that we take the broadest approach to the problem of victims becoming homeless due to domestic violence by not just providing housing through our organization, but by partnering with both public and private housing providers to make housing accessible to survivors across the spectrum and ensuring that victims don’t have to become homeless in order to become safe from abuse. Staff require an equivalent degree of autonomy, flexibility, and skill-building in order to best meet the complex needs of survivors. Sovereignty – Having the freedom and responsibility to determine what is right for yourself and be self-governing. Integrity – Behaving consistently with the values you promote; striving to know yourself and behaving authentically. Empowerment – Giving voice to your own power, and providing the tools to help others recognize and access their power. Accountability – Being responsible for maintaining a set of professional standards, keeping clear boundaries between yourself and your work. 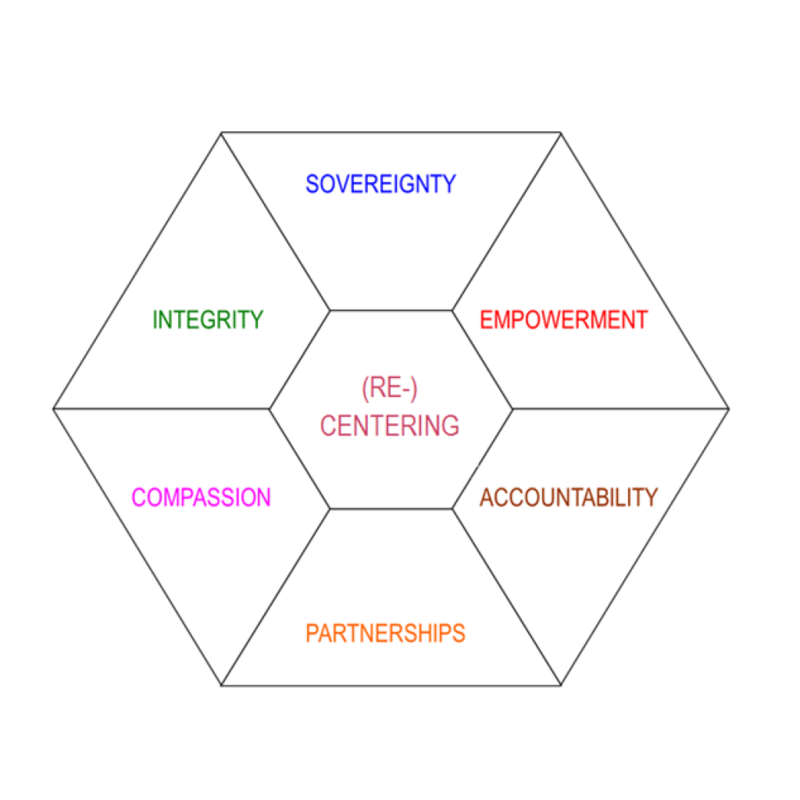 Partnerships – Having mutually cooperative and respectful relationships with all who are doing the work, including program participants, service providers, investors, and the community. Compassion – Having empathy for others who are affected by misfortune, and working to understand and help them. 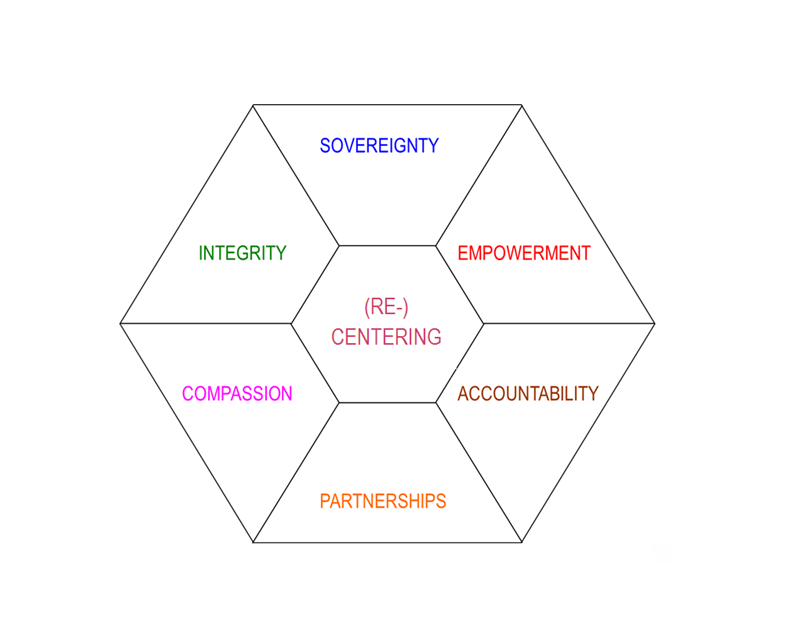 (Re-)Centering – Finding the clarity, focus, and wherewithal to balance competing demands and pressures on us; having the ability to respond the way you choose in the face of change, working to keep grounded in the midst of chaos.